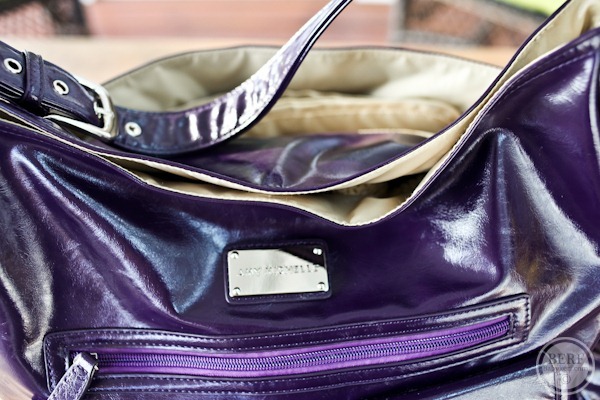 In contrast to my sporty, dad-friendly diaper bag, Amy Michelle sent me this beautiful designer diaper bag to review. It’s called the Sweet Pea, and comes in a few pretty colors. I use both bags interchangeably, but this is definitely the one I take to more formal events. Basically if I’m dressing up, this bag is part of my outfit. Upon first glance, I was thrilled with all of the pockets. 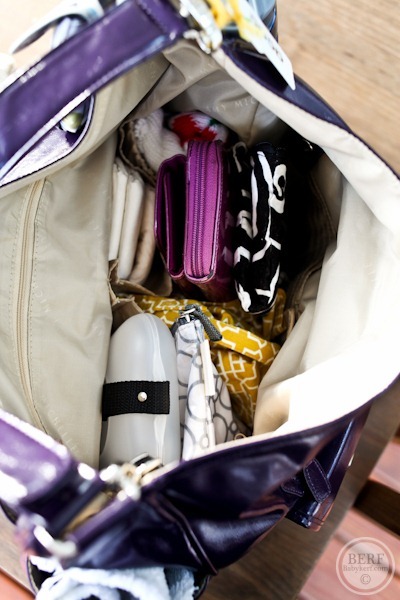 Pockets are the #1 diaper bag requirement!! So many little things to tote around. 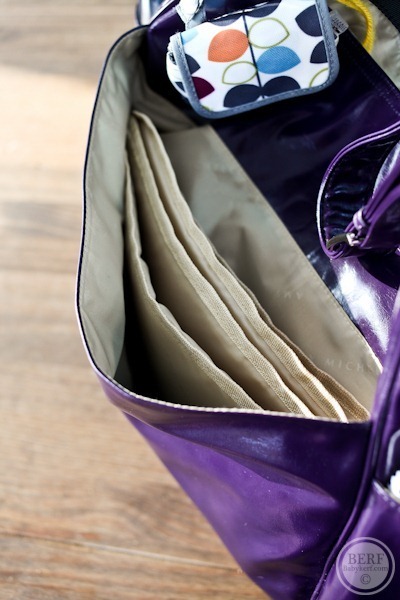 After getting very comfortable with the pockets in my other diaper bag, it took me a few minutes to decide where things would best go in this bag. The two on the front (which are magnetic and not buckles – yay) were easy fits for my phone and car keys. One on each side. And my mom things – hand sanitizer, snacks, lip gloss – fit well in this front zippered pouch. And after a little sweat, I was relieved to find that my huuuuuge water bottle fits inside. It’s a tight squeeze for a liter bottle, but it worked. Whew! That might have been a deal breaker to love this bag 100%. Amy Michelle didn’t miss a beat – there are stroller holders on the sides. I actually really like that these are velcro and not clips because they take less time to pop on and off the stroller. They also unclip if you want to take them off and tuck them away in an inner pocket. Thumbs up!! Lastly on the outside is the changing pad pocket. Simple + functional. Although I do sort of wish this changing pad had some cute design on it instead of being a blah beige. The main pocket is very roomy – roomier than my Skip Hop bag which is GREAT because it fits my DSLR camera even better than the other. Loved the side pockets for diapers and wipes. Although I will say that since we have moved on to cloth diapers my bag is much more full. I still keep a few disposables in there too though, so the pocket is still being used. I also recently bought this Skip Hop wipe holder since the wipes we were using didn’t have an easy travel solution. Again since switching to cloth we have a bit of a wipe issue when we’re out (cloth wipes or disposable!?) but I’m working through that. The bag also has smaller pockets for things like credit cards, but I would never put a loose credit card in a diaper bag, so I’m still carrying around my wallet. 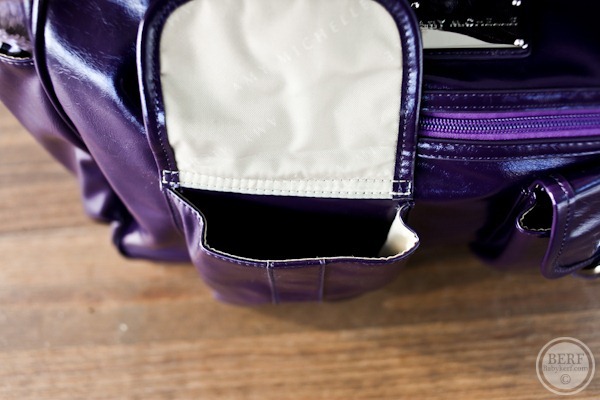 There are several more zippered pockets inside though, which are fabulous. Everything should have magnets or zip! Speaking of magnets, that’s how this bag closes at the top. That’s one effective magnet! The only drawback to this bag is that it can’t be worn messenger style, so it’s not quite as comfortable for long-term wear, but I think if I knew I would be wearing my diaper bag for hours I would pack my other sportier one anyways. Overall, I love the bag. 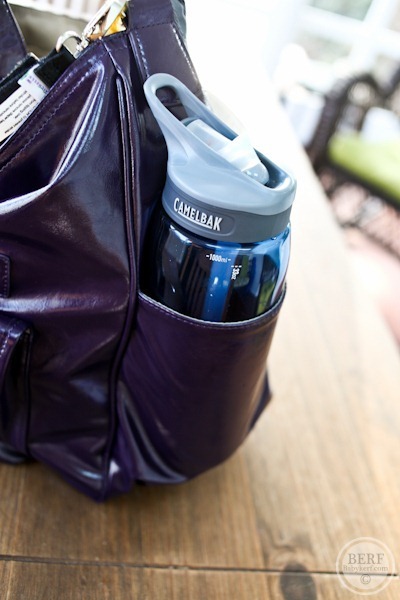 It’s stylish and super functional as well. I’ve only been using it for a few weeks, but I haven’t noticed any wear or tear. Pockets for the win! Learn more about Amy Michelle on Facebook or its website. And as a special treat, I’ve arranged a 15% discount on any order from www.amymichelle.com. 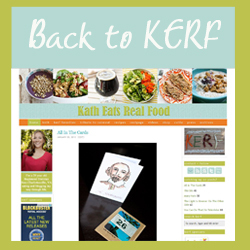 Just use the code: BabyKerf. Cute, I really LOVE the color. However I need one that can be worn as a backpack, can’t handle shoulder bags that keep slipping off my shoulder and with soon-to-be two babies to juggle I need to be able to toss it on my back and have my hands free. We use cloth diapers too, and my solution to the wipe issue is to pack a damp face cloth in a wet bag and tuck that in my diaper bag. Most of the time, if I have to change him on the go we can find a washroom where I can use soap and water, but if I can’t do that, the damp cloth always works well. Then I just toss it in the laundry when I get home. i love your posts about diaper bags because i too am obsessed! here is my major dilemma 😉 as a baby shower gift my 10 year old daughter picked out a diaper baby that she thought i would love! it has monkeys all over it and only 2 pockets 🙁 i don’t want to hurt her feelings so i have been suffering with this bag haha. i think this bag is beautiful! My one word of warning from a grandma. Watch where you put that bag with the strong magnets. Once when I was babysitting my grand daughter I found my son’s precious instant read cooking thermometer attached to one of the pockets. He had been looking for it for days. Apparently the diaper bag was put down on the kitchen countertop and the magnets grabbed it. They kept the bag packed with most things I needed so nobody had been in that pocket for awhile. So watch out for random metal things coming along for the trip. Oh gosh – haha. Matt would have been looking for that too! “it comes in a few pretty colors”??? it comes in Plum and Black…? Watch out with those stroller clips. Considering you have a water bottle and a camera in there, that bag’s weight is a danger to Mazen as the stroller could tip. 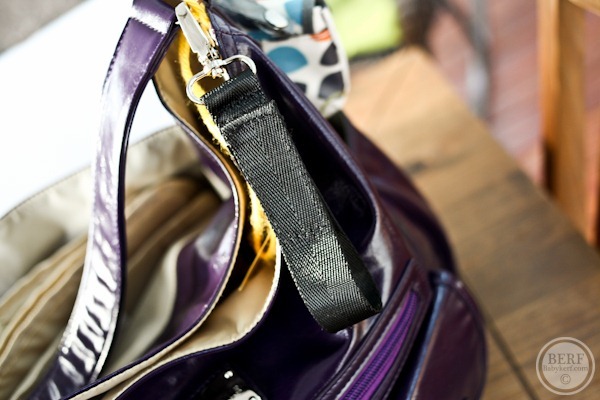 Stroller clipping your diaper bag can make your nice stroller unstable and dangerous! I’ve witnessed this happen first hand and it was scary. I use baby washcloths for cloth wipes. I stick several in with my cloth dipes, and I have a little travel spray bottle with wipes solutions (Baby Bum Drops, but water alone is good, too). I just grab a dupe, a wipe or two, and spritz them a few times. Dirty wipes are folded into the dirty diaper. No need for a sink or a trash can. 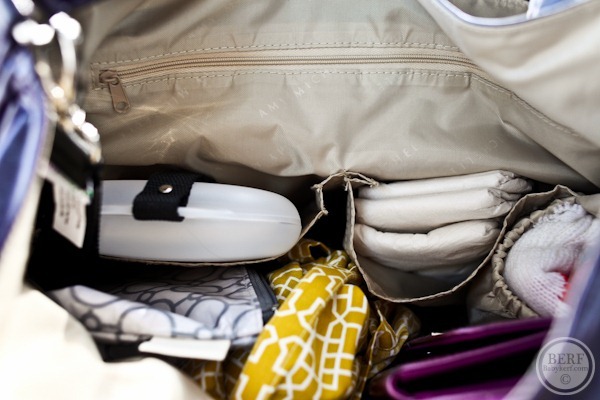 I use the Planetwise wet/dry bag that has an outside pocket for clean dipes/wipes/spray bottle, and I usually just throw it in separately so I have lots of room in my diaper bag. 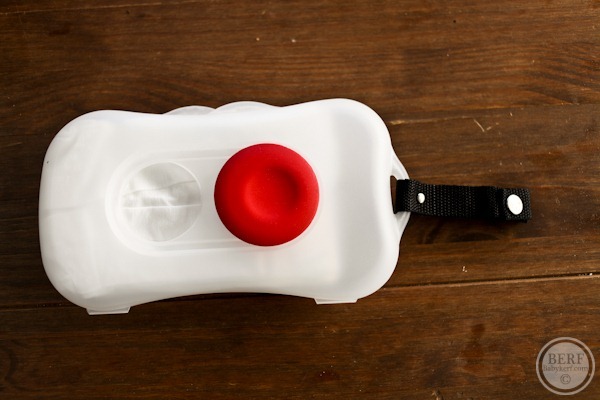 I have the Skip Hop Bento, which I love – the wet bag has a snap handle so I can clip it on for easy transport. Good luck with your system, whatever you decide on! My sister actually uses cloth wipes and she has a pretty good system for herself. She cut up and sewed the cloth wipes and keeps them in an old disposable wipe container. Then she has a small squirt bottle filled with the water/soap liquid she uses. Then when she is done with the wipe she just puts it in with the used cloth diapers. Hi Kath! You probably wrote about this in great detail somewhere, but I was wondering why you guys are doing cloth – is it being environmentally friendly, or wishing to potty train sooner (I understand kids in cloth often potty train better), or both, or something else? We’re in a similar boat, using two diaper bags. 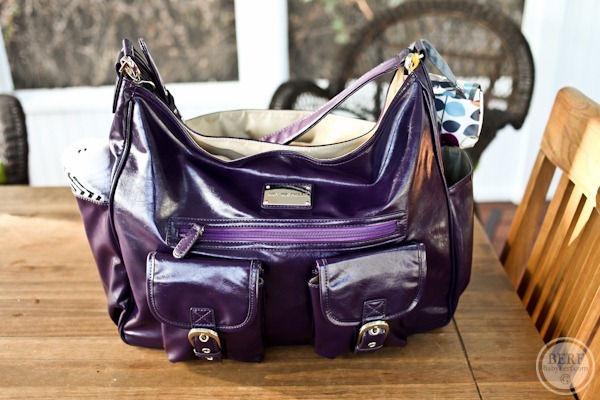 I have a Skip Hop that I love but there’s no denying it’s a diaper bag! However, like switching purses, switching diaper bags is a major pain so I usually keep the SH attached to the stroller and stick with it. We use cloth too, this is our wipes solution for while we are out http://rhythmandharmony.wordpress.com/2012/11/06/baby-wipes/. 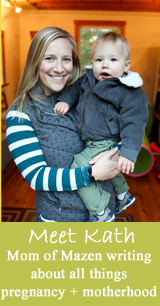 I like it because we always have the materials at home, they don’t get dried out like conventional wipes do if you don’t use them very often, and they’re disposable so you don’t have to be lugging around a ton of dirty diapers AND dirty cloths.